ЮНЦ РАН - Chairman of the Southern scientific center of RAS. In English / Chairman of the Southern scientific center of RAS. G.G. Matishov was born in Preobrazhenie Bay (Primorskiĭ kraĭ, Russia) into a military family on Jan. 1, 1945. After graduation from Rostov State University (1967) and completing his military service in the Soviet army, G.G. Matishov started working at Knipovich Polar Research Institute of Marine Fisheries and Oceanography in Murmansk. Since 1981 he is director of the Murmansk Marine Biological Institute KSC RAS. From 2000 to 2003 - Vice-Chairman of the Kola scientific center of RAS. 1997 – Academician of the Russian academy of sciences (specialty "oceanology"). Since November 2002 – Chairman of the Southern scientific center of RAS. Since 2006 creator and scientific leader of the Institute of Socio-economic and Humanities Research of SSC RAS. Sphere of activity is related to marine science and applications, including the development of biotechnological systems, radiation monitoring, theory of marine ecosystem analysis, deep-sea topography, hydrography of the North Atlantic and the Arctic basin. Academician G.G. Matishov proposed a fundamentally new concept of marine exogenous processes of the glacial period, worked out an original model for quaternary glaciation of the Barents-Karsk region. He made a valuable contribution to the climatology and bio-oceanology, including studies on fishery production, on the modern problems of the arctic and southern seas, and developing the forecast models of the evolution of polar and arid ecosystems. A noticeable contribution was made to the socio-political geography, military history, and national safety in the South of Russia. Academician G.G. Matishov considers popularization of scientific studies an important activity that attracts public attention to modern problems of the science. For that purpose he often interacts with federal and regional TV channels, newspapers, radio-stations, Internet portals and Inform-agencies ("RIA News", ITAR-TASS, "Interfax-South", TV channel "Culture", etc.). G.G. 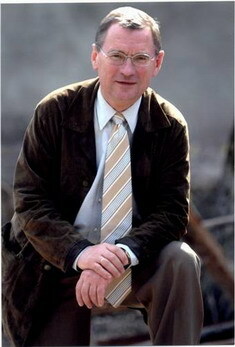 Matishov is an author of more than 650 publications on theory and applications in various journals including "Oceanology", "Sea Biology", "Proceedings of the Academy of Sciences, geographic series", " Proceedings of the Academy of Sciences, biological series", "Geomorphology", "Lithography and minerals", "Optics of atmosphere and ocean", "Doklady AS", "Proceedings of the Russian geographic society", "Priroda", "Ocean Coastal", "Aquatic", "Geochemistry", "Quaternary Science Reviews", "Marine Geology", "Polar Research", "Boreas", "Journal of Environmental Radioactivity". Books written by G.G. Matishov were published by "Springer", "Elsevier", "Nauka", "Mysl" publishing house, etc. G.G. Matishov is a member of the editorial boards in journals "Water resources", "Okeanologia" of the Russian academy of sciences and "Oceanology" of the Polish academy of sciences. Award of the Governor of Rostov Region (2012). Marine bottom and the fishery. Apatite, 1983. 56 p.
Bottom of the ocean and glacial epoch. L. Science, 1984. General ecology and paleogeography of polar oceans (in the co-authorship). L., Science, 1990. Ecological map of the Barents sea. Oslo, 1991. Anthropogenic destruction of ecosystems of the Barents and Norway seas (in the co-authorship). KSC RAS, 1992. Remote ecological monitoring Barents sea (in the co-authorship). Apatity, KSC RAS Press, 1993. Environment and ecosystems of the Franz Josef Land (Archipelago and shelf). Ed. G.G. Matishov. Apatity, KSC RAS Press, 1993. Evolution of ecosystems and biogeography of the seas of the European Arctic region (in the co-authorship). S.Pb., Science, 1994. Radionuclides in the ecosystem of the region of Barents and Karsk seas (in the co-authorship). Apatity, KSC RAS Press, 1994. Marine colonial birds of Murman (in the co-authorsip). S.Pb.,Science, 1995. Ecology-geographical dictionary. Apatity, KSC RAS Press, 1996. Chemical processes in ecosystems of the northern seas (hydrochemistry, geochemistry, petroleum industry), (in the co-authorship). Apatity, KSC RAS Press.,1997. Scientific-methodical approaches to estimation of an influence of gas-petroleum output on the ecosystems of the Arctic seas (after the example of Stockman project). A group of authors. Apatity, KSC RAS Press., 1997. Bathymetric Map of the Barents and West Kara Seas. Academy of Sciences, Murmansk Marine Biological Institute/ Scale 1; 2/3 13/000 at latitude 720. N/ - Murmansk, 1997. Bathymetric Map of the Franz Josef Land Aree, Geological Society of America: Map and Chart Series. MCHO80. Map Scale: 1:500 000. Colorado, USA, 1995. Matishov D.G, Matishov G.G. Radioecology in Northern European Seas. Springer, 2004. 335 p.
Matishov G.G., Denisov V.V., KirillovaE.E. Role of a procedure of environment impact assessment (EIA) in elaborating the integrated project of managing the Barents sea coastal zones // Ocean & Coastal Management. USA: ELSEVIER, 1998. V. 41, N 2-3. P. 221-236. Matishov G.G., Denisov V.V., DzhenyukS.L. Contemporary state and factors of stability of the Barents Sea Large Marine Ecosystem // Large Marine Ecosystem of World: Trends in Exploration, Protection, and Research. USA: ELSEVIER, 2003. P. 41-74.